July has been one of the busiest months ever!.. I photographed over a hundred children in the lovely Cedar Park Nursery, had several family portrait sessions (outdoors and in the studio), commercial food photo-shoot with Zinda foods and the usual Salsa Bachata Social Club’s party. There was one photo-session that was especially memorable for me this month. 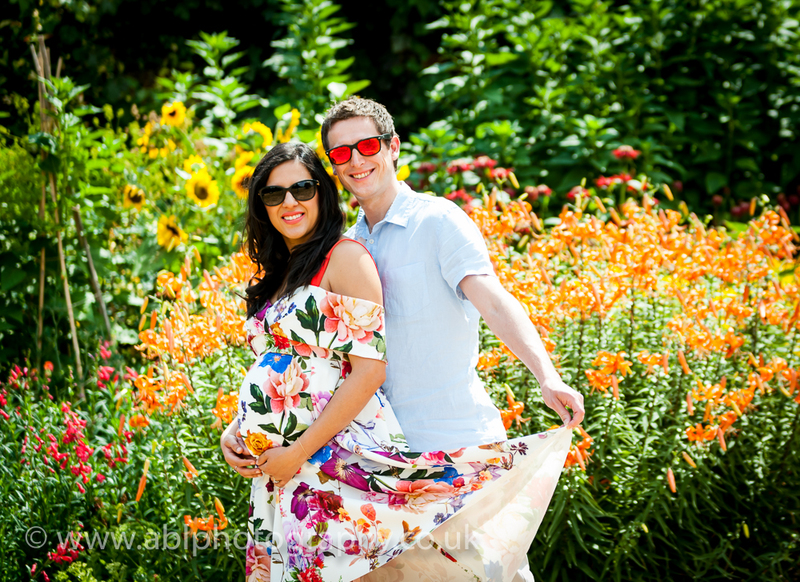 A lovely young couple expecting their first baby wanted to have this moment captured in a location with lots of colourful flowers. After lots of research we’ve selected Cliveden House Hotel as the setting for our session. It was a perfect spot for capturing the spirit of this year’s hot summer with so many gorgeous backdrops to choose from. Hence here is my favourite photograph of the month. I think it’s vibrancy captures the joy of this beautiful moment in my client’s life.